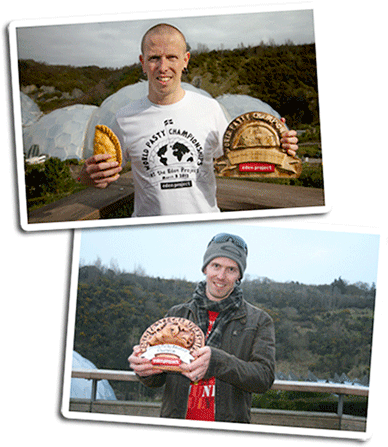 In 2012 The Eden Project, with the support of The Cornish Pasty Association, hosted the inaugural World Pasty Championships. As a keen amateur cook, a Cornishman, and a pasty lover I decided to enter, and took first place in the Amateur Cornish Pasty category. A year later, I successfully defended my title, officially making me 2 times Amateur Cornish Pasty World Champion..
"How To Make An Award Winning Cornish Pasty". 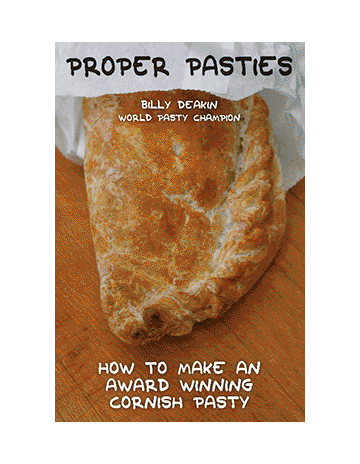 The book is also listed on the Amazon store in other countries, just search for "Proper Pasties" or "Cornish Pasties"
HUGE THANKS to everyone who pledged their support on the Kickstarter project, this book woudln't be happening without you! Click here to see all th epeople who helped make this book a reality!